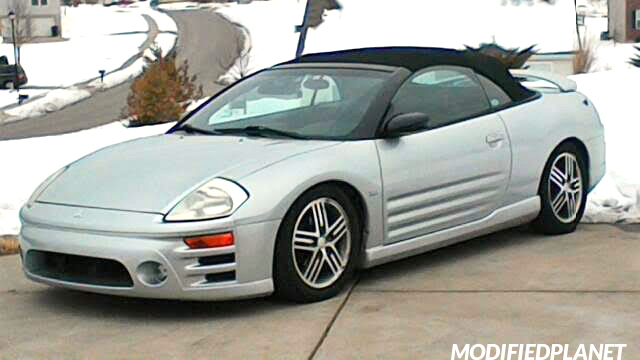 Modified 2004 Mitsubishi Eclipse Convertible in steel blue pearl paint lowered on a set of Tein Type Flex Coilovers. 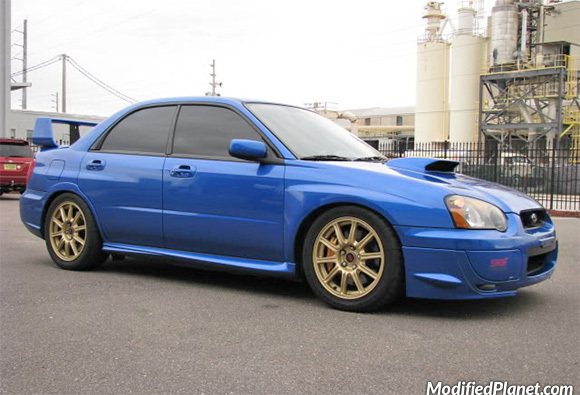 Tein Flex coilovers installed on a modified 2005 Subaru STI. 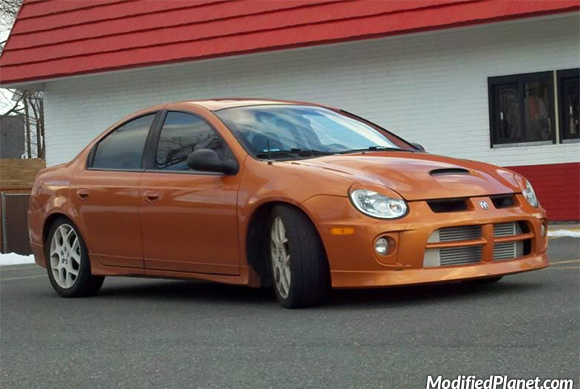 Modified 2005 Dodge Neon SRT4 featuring K-Sport Kontrol Pro coilovers and 3.5″ ETS front mount intercooler. 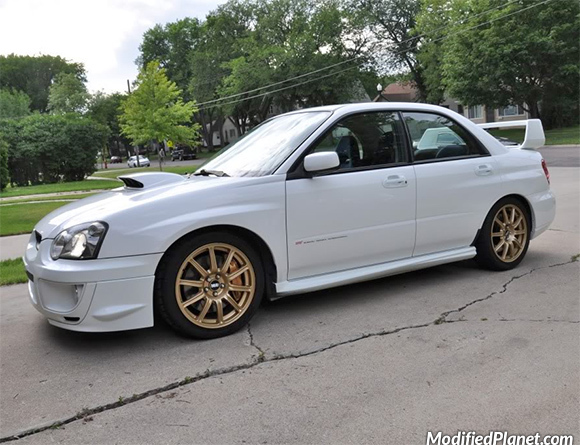 Modified 2004 Subaru STI lowered on a set of Tein Flex coilovers. 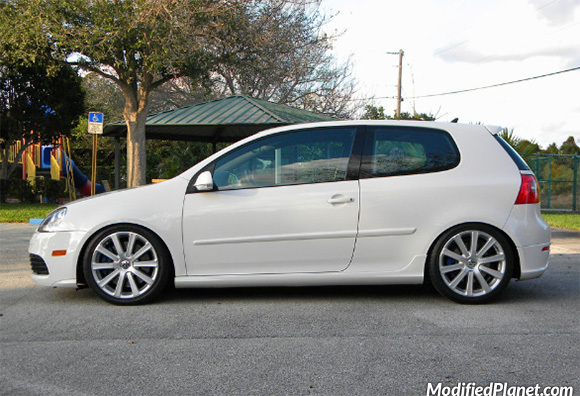 Modified 2008 Volkswagen R32 lowered on a set of FK Silverline X coilovers. 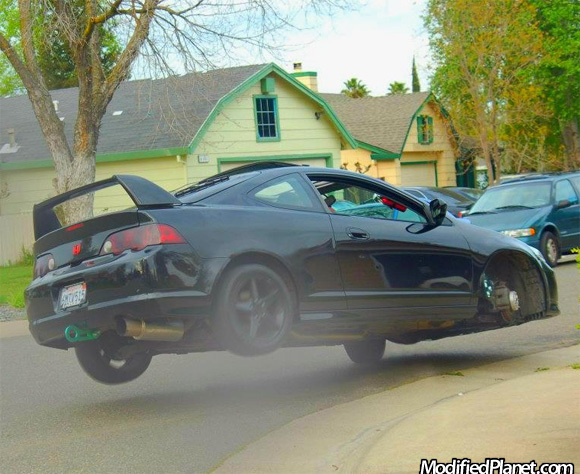 This modified 2005 Acura RSX features a HKS Hi-Power exhaust system, Tein coilovers, red Honda emblem, smoked tail lights, rear tow hook, fire extinguisher, and factory wheels powder coated black. 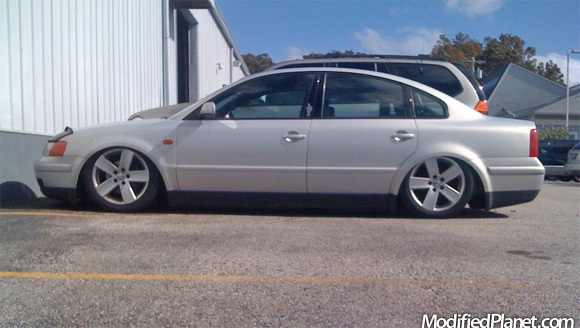 All these modifications didn’t matter when the driver hit the curb, lost its front wheel and got airborne. 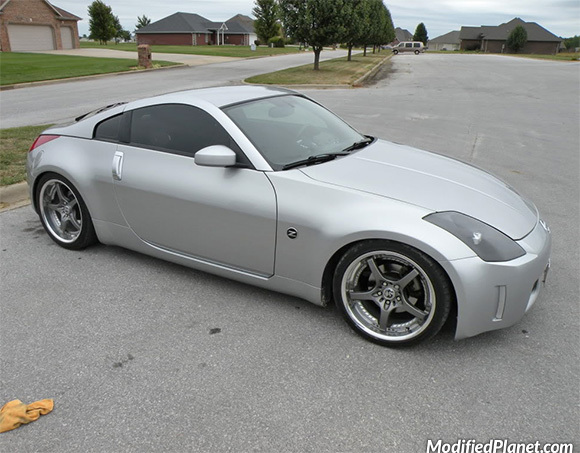 Should’ve invested in a quality set of tuner lug nuts.